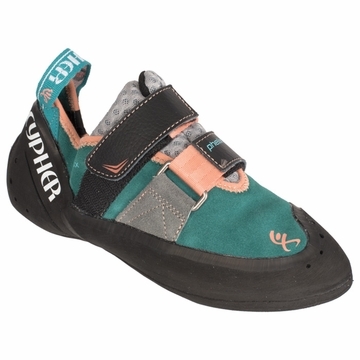 "Based on the versatile Modulo, the Phelix is a performance women's shoe catering specifically to lower volume feet. Featuring a 4.2mm Vibram XS Grip sole with a perforated heel cup and toe box, the Phelix wraps better around smaller feet and keeps you on route when things get steep. Unlined leather and dual velcro closures mean this shoe will fit like a glove out of the box and only improve with time. Sole: 4.2mm Vibram XS Grip"